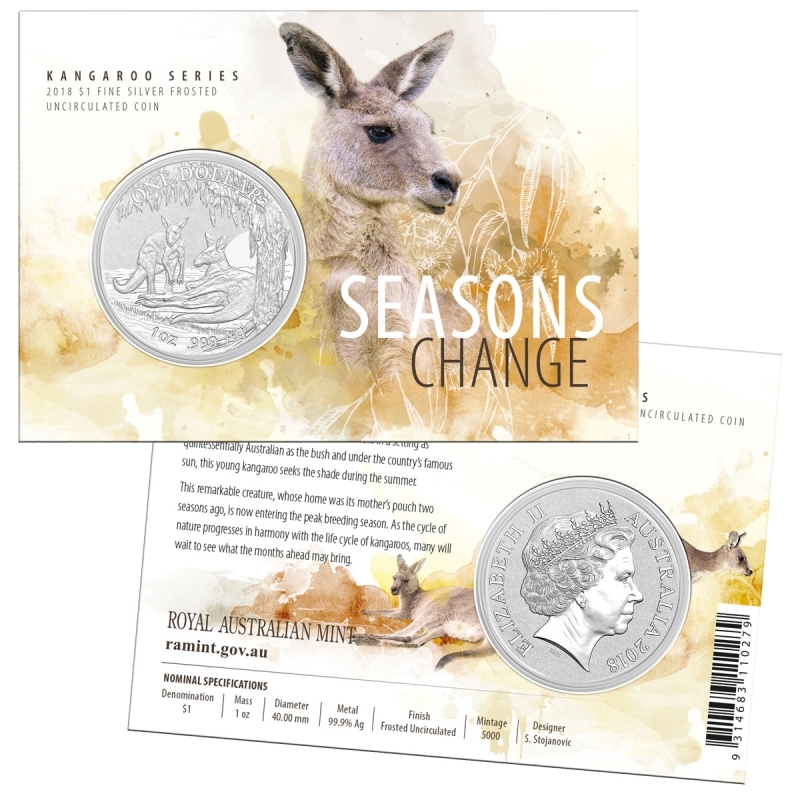 This is the third coin in the Royal Australian Mint's "Seasons Change" series. 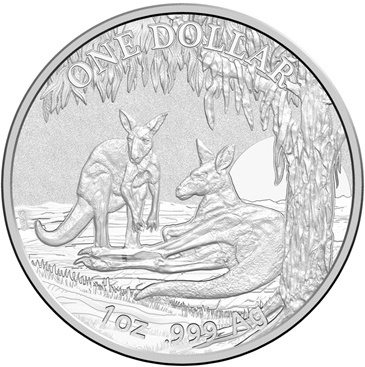 After following the growth of an Eastern Grey Kangaroo through winter and spring, the story continues in 2018 with this stunning summer-themed coin. Having grown and ventured outside its mother’s pouch, the adolescent Joey is now seeking shade from Australia’s summer sun. Reverse: As the cold and drizzle of winter makes way for the colourful bloom of spring, a Joey grows and develops. After moving out of the warmth of its mother's pouch, the bond between Mother and Joey is also in full bloom, grazing together on nature's offerings.